There are 2 artists that go by the name of Nump: 1. Dustin Perfetto, an Oakland rapper associated with the hyphy movement. Dustin Perfetto, known by his stage name Nump, is a Filipino American hip hop artist best known for his single, "I Gott Grapes" featuring E-40 and The Federation produced by D1 of the Knockaholicks. The single was released in 2005 on Nump's own label, Bay Luv Records, on the album, "The NUMP Yard". 1. Dustin Perfetto, an Oakland rapper associated with the hyphy movement. Dustin Perfetto, known by his stage name Nump, is a Filipino American hip hop artist best known for his single, "I Gott Grapes" featuring E-40 and The Federation produced by D1 of the Knockaholicks. 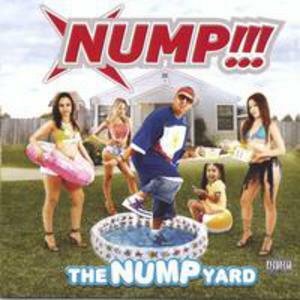 The single was released in 2005 on Nump's own label, Bay Luv Records, on the album, "The NUMP Yard". In 2006, the album was re-released by E-40's label, 3030/Sick Wid It Records under a distribution agreement with Navarre Distribution. "I Gott Grapes" received significant air play in the bay area and is mostly associated with the bay area's hyphy genre. The single was followed by a remix called "I Gott Grapes (Worldwide Treemix)." He has worked with artists such as DJ Shadow, E-40, The Federation, M.I.A., Apl.de.ap of the Black Eyed Peas, DJ QBert, and many more. Nump was also featured on MTV's My Block: The Bay. In addition to his work as a performing rapper, Nump is also an audio engineer at Infinite Studios in Alameda, CA. As a recording engineer, Nump has worked with acts such as Green Day, Blackalicious, Smash Mouth, and Iggy Pop.